Reduced fleet costs might be more obvious than you think. If you have run a fleet for some time, someone – a friend or family member – has probably asked you the best way to buy a new car. This has happened to me many times. Sometimes they ask “should I lease a car?” (which normally leads me on to a conversation about the merits of PCP v PCH), or “what car should I buy?” (don’t ask me – I know about fleets, not individual models). And I have often been asked “how do you acquire your own car?”, at which point I describe my approach, which lets me drive great cars at minimal cost. And that’s what I plan to share with you now, because I have just realised that in 35 years of writing articles for publications, I have never covered this topic. Fleet World is read by people who manage at least 100 vehicles, most of which will be cars. 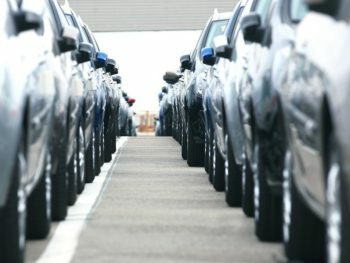 So let’s assume that you run a fleet of 150 cars, which you lease over three years; that your leasing company pays your maintenance bills and recharges the cost to you; and that yours is a medium-sized, creditworthy company that can borrow money (to fund cars or anything else) at, say, 4% p.a. If the average purchase price across all of your cars is, say, £18,000 and the average residual value is £7,000, each car will depreciate £11,000 over three years. The average capital balance outstanding over three years (the amount you’d have to fund on overdraft or via a lease over three years) is approximately £12,500 [((£18,000-£7,000)÷2)+£7,000], which at 4% p.a. means your interest cost is £1,500 [£12,500 x 4% x 3 years]. So that’s £12,500 [£11,000+£1,500] of depreciation and interest costs over three years, or a total of £1,875,000 across your whole fleet. There will be other costs, of course – Vehicle Excise Duty, servicing, petrol, etc – but let’s ignore those for the purposes of this article. I have just sold my beautiful Mercedes-Benz C180 AMG Coupé, a car with a list price of £35,000. I drove it for three years, had it serviced regularly, and it had 40,000 miles on the clock when I sold it. It depreciated just £6,000 over three years. Had my interest borrowing rate been 4% p.a., my total interest cost would have been £1,560, so my total depreciation and interest cost over three years would have been just £7,560. Sounds rather modest against the £12,500 we were a talking about above, don’t you think? How did I do it? Simple. I bought my car at auction. To be specific it was a three-year-old model with 20,000 miles on the clock, and I sold it with 40,000 miles on the clock. (It cost me £16,000, I sold it for £10,000, so the average capital balance was £13,000 over three years. £13,000 x 4% x 3 = £1,560). Had I bought a typical used fleet car for, say, £7,000, held it for three years and sold it for £2,500, the depreciation cost would have been £4,500, average capital balance would have been £4,750, interest cost £570 and my total depreciation and interest cost would have been £5,070 [£4,500+£570]– a whopping £7,430 [£12,500-£5,070] less than if the car had been new. “Aha,” I can hear you say, “our drivers would never accept used cars.” Really? Even those who drive a lot of mileage for business? I’m not suggesting you give them all cars with an original list price of £35,000, but if you’re saving thousands of pounds per car you could certainly offer them something a bit more upmarket than they are getting at the moment, and still enjoy big savings. “Aha,” you say, “but wouldn’t those more expensive, older cars cost more to maintain than a new more modest car?” Actually, in my personal experience, no. I have bought my last three cars at auction, have had them services at fixed prices by a fast-fit company and enjoyed hassle-free motoring with all of them. But I was probably lucky and yes, the statistics show that more expensive cars cost more to run and that cars cost more to run in years 4, 5 and 6 than in years 1, 2 and 3. But the extra is probably less than you think. Cars are much more reliable these days, and if your experience is anything like mine, you’ll sail through three years of motoring without the need for anything more than standard servicing. “But I don’t know enough about cars to buy at auction,”­ you say. As already mentioned, I don’t know much about cars; I know about fleets. But you don’t need to know much about cars to buy with confidence at an auction, because the auction houses go out of their way to make things as easy as possible for buyers. I used the Search facility on an auction company’s website to find the model I was interested in and discovered that many were coming up for auction. I identified one that seemed perfect. The right colour, exactly the right spec, and ex-lease (giving me confidence that it had been well-maintained). I could see the list price and current trade values, close-up photographs, a detailed description of every bodywork blemish, and an engineer’s report from a motoring organisation showing the condition of all of the key mechanical and electrical elements of the car. I attended the auction, examined the car, listened to the engine and placed my bid with confidence. I paid trade price plus a buyer fee and drove the car for an hour to ensure it was sound. It was. The next day I had it MOT tested and it passed with flying colours. “But what about the hassle?” I hear you say. Yes, it’s more hassle to buy a used car than a new one, but not much more. And you’ll have to sell it eventually, too. I sold mine through one of the online companies that buys any car. There are many such companies offering widely differing prices. I sold to the one offering £1,500 more than the first offer I’d received. They collected the car and transferred the money to my bank account before they drove it away. If you could save, say, (let’s be conservative) £5,000 per car, that’s £750,000 over three years. That’s enough to employ a full-time employee to buy and sell the cars and still have a lot left over. But, if you’re only buying and selling about one every week you wouldn’t need a full-time employee. In truth, I know that most fleet managers won’t start replacing large chunks of their fleets with used cars bought at auction, despite the massive savings. But I do wish that fleet leasing companies would lease ex-lease cars to their clients on three-year contracts. At this time of economic uncertainty it makes sense to minimise costs, and it also makes sense for leasing companies to lease used cars because it reduces their credit risk. This is a win-win. I wonder if we could start a new trend?